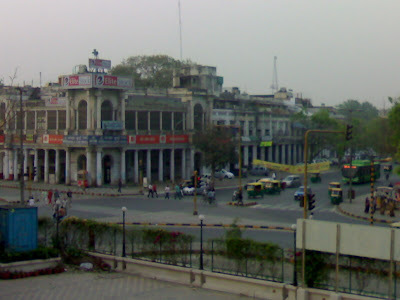 This is a view of Connaught Place atop a building. The market is a legacy of the Britishers to the Delhites. Its vintage architecture houses the most contemporary Indian and International brands. Its a must visit place for everyone coming to Delhi. Nice photo. What is Connaught place known for? It is very hip market, located in central Delhi. It is basically a market that is concentric in shape. there is nothing very special that one can associate with the market except for maybe Janpath which is like the fashion-street market of Delhi.